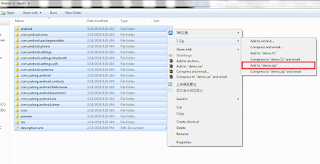 First of all you will need a base theme on which you have to do your editing.Select any theme and rename it as zip file. 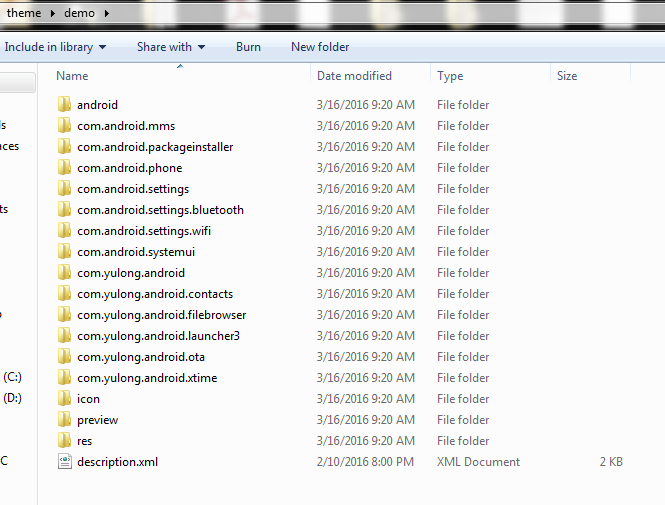 **Now extract theme after renaming it into zip.Now you have to change/add icons inside icon folder of the theme. To find out the name of icons use this method. Install apex launcher and open it-Long press on blank space of homescreen and select shortcuts-then select activities-then you will see a list of apps.To know the app icon name click on left side down arrow.If name start with dot(.) then add main name also.Use the coloured name shown. Now you have to edit items in different folders of the theme. **com.android.mms\res\drawable-xxhdpi-v4 contains messaging status bar background,message backgrounds, check buttons and other icons. 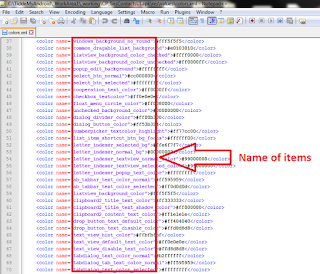 properties.xml is used for text colour codings. ** com.android.settings\res\drawable-xhdpi contains statusbar background for settings,check boxes and icons for settings menu. 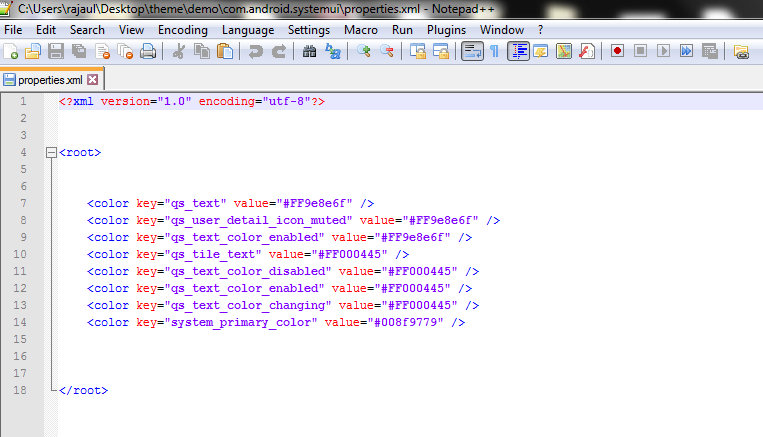 properties.xml isused for text colour codings. ** com.android.settings.bluetooth\res\drawable-xxxhdpicontains on-off toggle,check boxes and status bar background for Bluetooth. 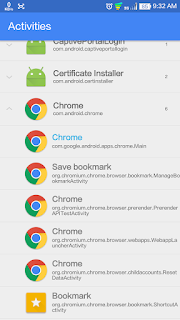 ** com.android.systemui\res\drawable-xxhdpi contains icons for quick settings panel,brightness seekbar and slider,battery icons,signal and wifi icons etc. 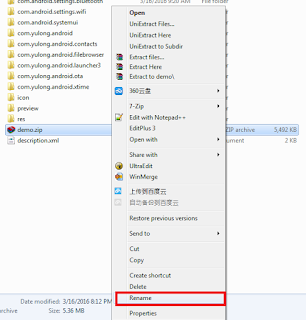 com.android.systemui\res\drawable-zh-xxhdpi contains data network icons and properties.xml contains text colour for notification background,text colours for quick settings panel etc. 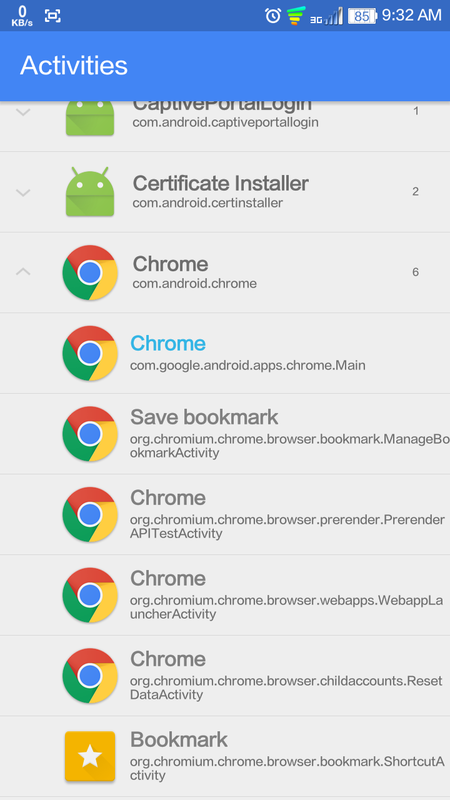 ** com.yulong.android\res\drawable-xhdpi contains status barbackground for some processes check boxes,radio buttons,on-off toggle,copy,cut,delete,paste,share icons etc. ** com.yulong.android.contacts\res\drawable-xhdpi contains dialer icons,dial buttons,contacts and call log icons and backgrounds,statusbar background,menu background etc. 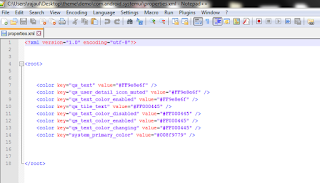 properties.xml is used for text colour codings. 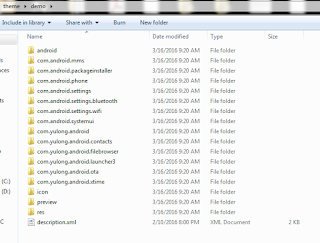 ** com.yulong.android.filebrowser\res\drawable-xxxhdpi contains on-off toggle,status bar background,scroll icon,check boxes and radio buttons for file browser. 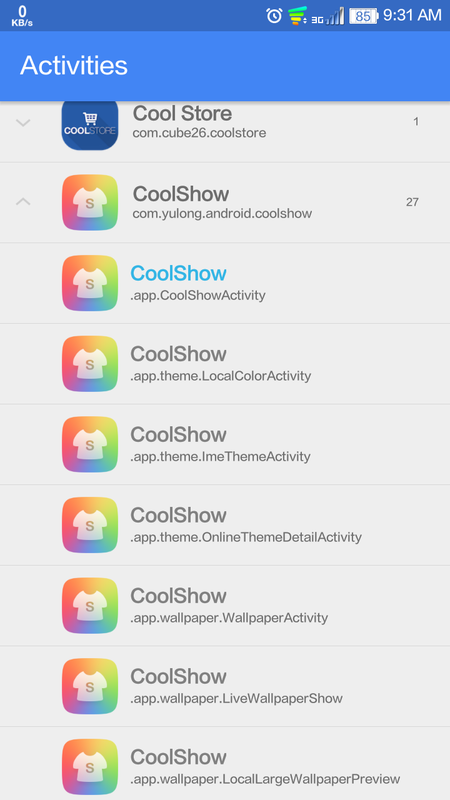 ** com.yulong.android.ota\res\drawable-xhdpi and com.yulong.android.ota\res\drawable-xxxhdpi contains notification icons,status bar background and some other icons for OTA. 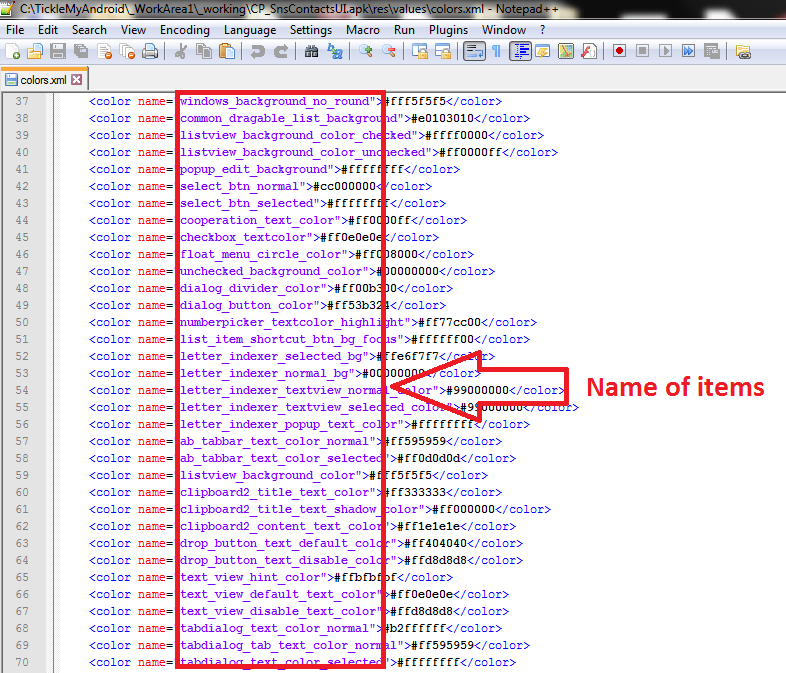 Colour codes(in hexadecimal format) for applications are generally written in app\res\values folder in colors.xml file.Take the name of items whose colour is to change from colors.xml. For hexadecimal codes use http://www.colorpicker.com/ or any other online colour code websites. Now last step is to edit description.xml.As clear from it's name,it is used for description of themes,author etc.Give theme Id,label,version,introduction,author name,resolution etc. 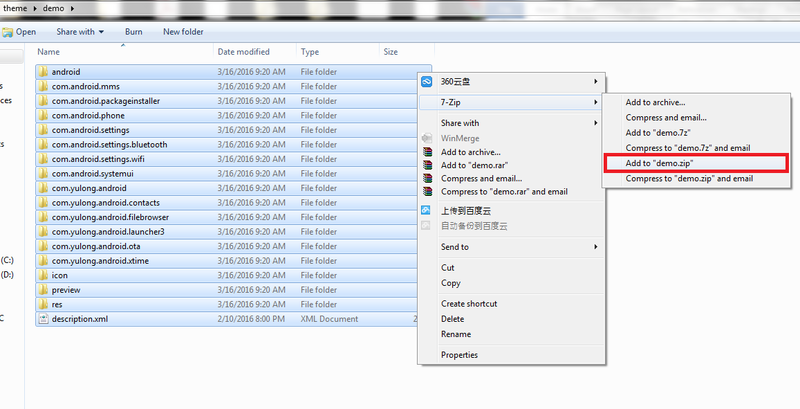 After all these editings compress folder into zip and again rename it as theme extension. Now place your theme inside coolpad/coolshow/theme folder and apply theme through coolshow app. bro from where did you get the resources, like status bar icons, check boxes and other things ? ?